From Falling Behind to Outperform. 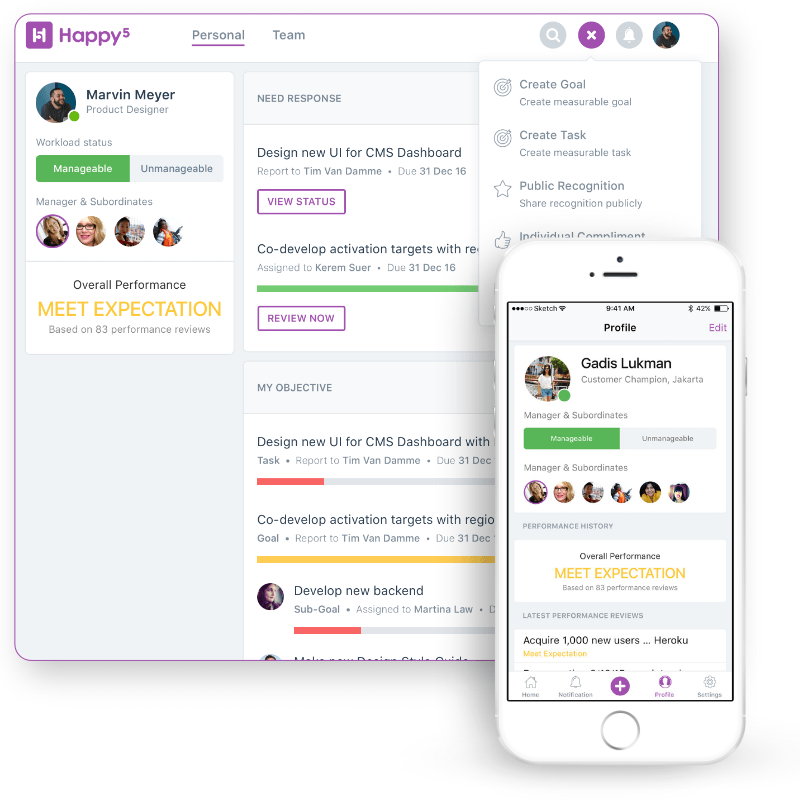 Happy5 is mobile-first, continuous performance management platform with real-time people data.  Goal & Task Management with Ongoing Feedback. With every task, companies can monitor the progress and its alignment to companies’ directions. 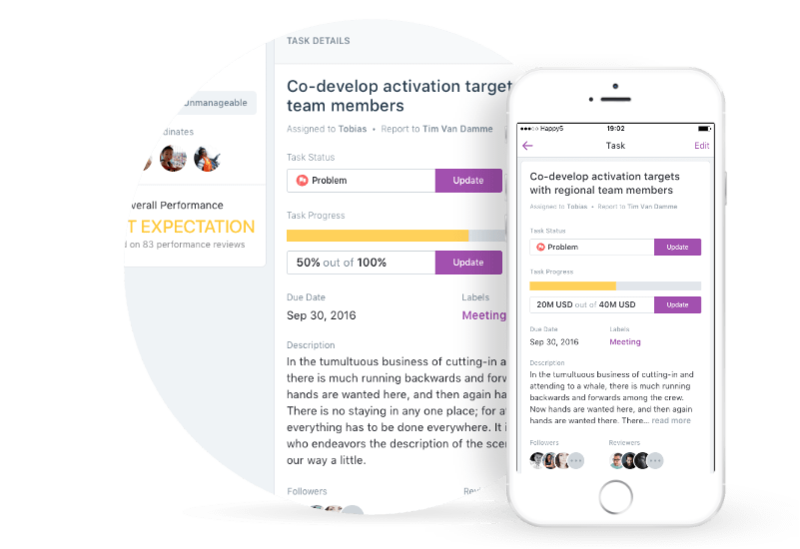 Each manager can give reviews to rate the performance and continuous feedback related to the task. We integrate the whole process seamlessly. Link task with quarterly goals. Invite stakeholders to get relevant updates & involve in conversation for each goal and task. 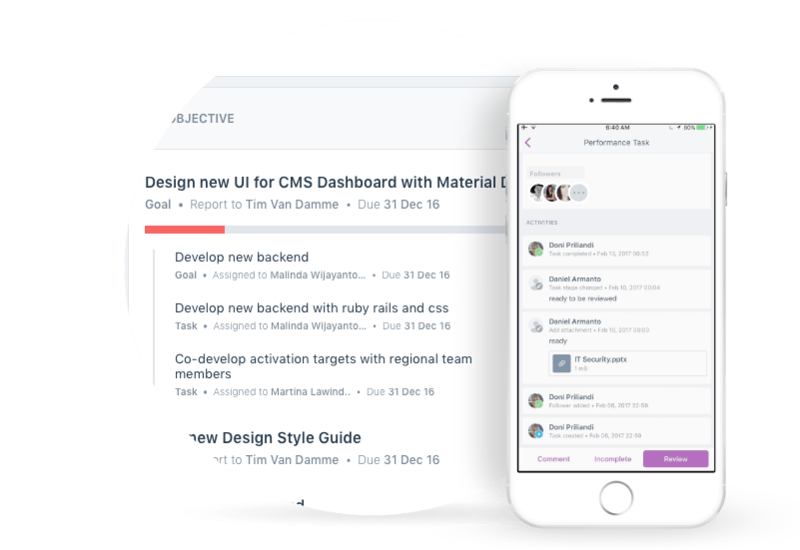 Get visibility of all tasks progress and its alignment to company’s strategic priority. Give simple performance review (exceed, meet or below expectation) for every completed task and quick feedback (one thing to continue and consider). 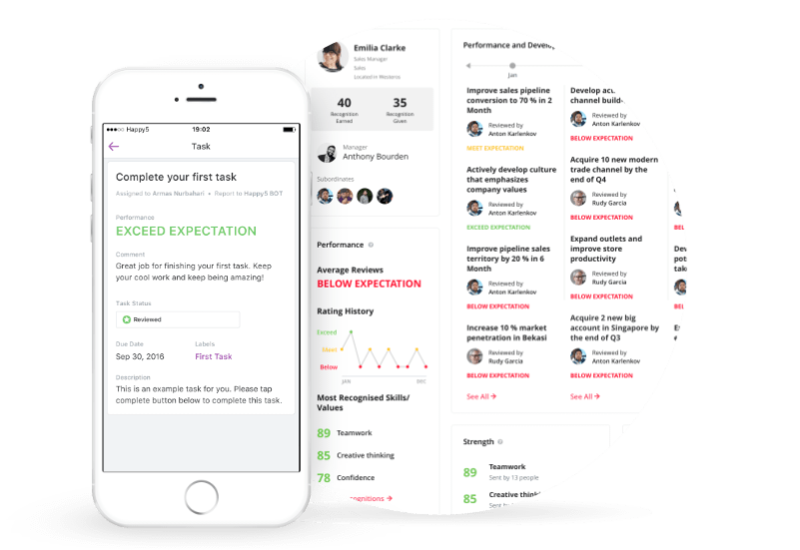 Every feedback is done under 3 mins with easy & intuitive mobile platform. Get empowered to learn the behavioral and performance patterns of the employees in order to predict their future performances. Share problems, files, tips and encourage meaningful conversation to help drive employees’ performance and development. 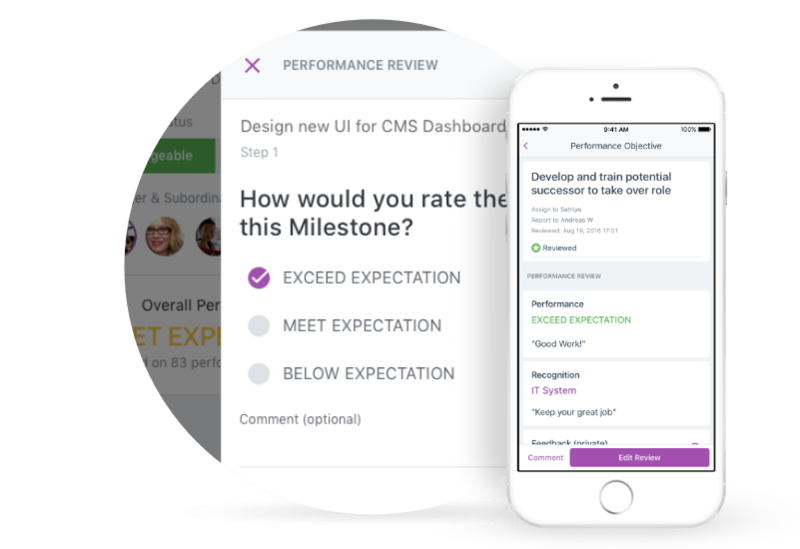 Try continuous performance management platform. Don't worry, just enter your email address and we'll take care of the rest. Copyright © 2017 PT. Indonesia Untuk Dunia All Rights Reserved.